WE FINALLY HAVE PHOTOS! And amazing photos they are too, thanks to the excellent Tamara and Blake Images. 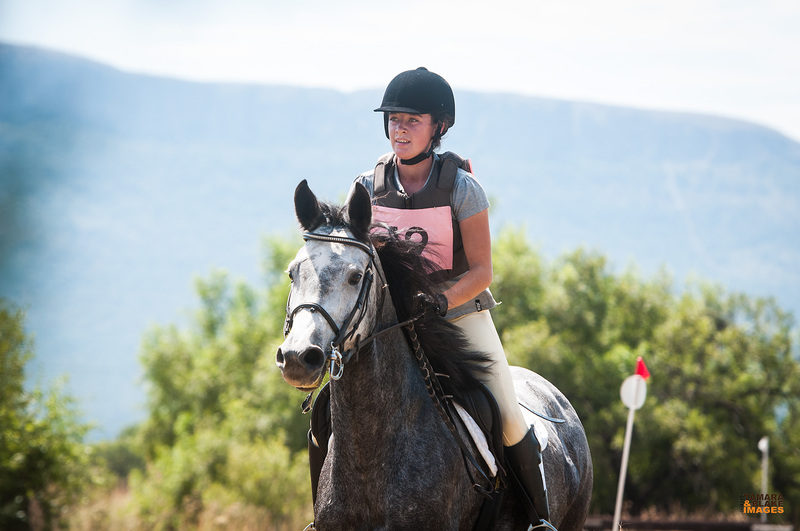 Two weekends back, we pushed Arwen into the box (literally – she wasn’t impressed with loading in the semidarkness) and set off on a long, nauseating drive to Le Godimo Horse Trials in Hartebeespoort. (My stomach can do hills. It can do winding. Winding and hills and watching Arwen on the horsebox camera? It went on strike). It was a two-hour drive, but Arwen was impressively calm, for Arwen. She was rather sweaty but not shaky when we unloaded, and unlike Magic, refrained from having tantrums on the highway. We’d entered the surprisingly big Adults EV60 class (jumps are about 2′ in cross-country; it’ll be the equivalent of the British BE60 and as for the Americans, you guys can figure it out yourselves. I don’t get your levels. How can Prelim be that big? 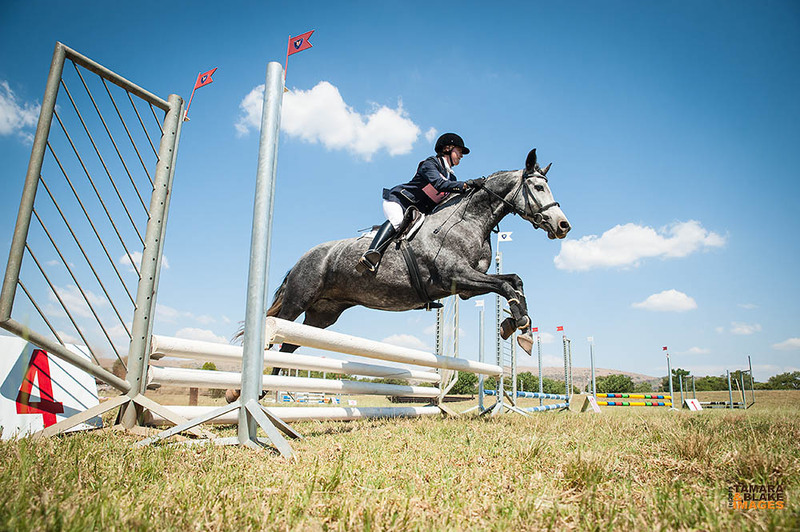 ), but it was still a bit intimidating to get there and see the sheer amount of horses and riders – about 150 entries in all. The atmosphere was definitely different to the relaxed training show feeling. I didn’t worry about it because I had Arwen’s hair to worry about. I let her go natural because a) I love long manes, b) Nooitgedachters are supposed to be natural and c) I value my skin and do not need it ripped off by the long-mane-loving Mutterer. This is all fine and well right up until you need to plait it for dressage. By a joint effort, my sister and I managed to squash Arwen’s tremendous hair into thirteen enormous bobbles. Six or seven of which she shook out five minutes before the test. I was deeply grateful for my sister, who is used to organising ballet exams and managed to restrain Arwen’s hair just in time. At least the little mare was very good, and stood eating hay throughout the plaiting ordeal. Poetry in motion. Her, I mean. I’m a mess. They call it stressage for a reason. We warmed up all right for dressage. She was soft and forward and only tried to kick one thoroughbred (who kind of deserved it). In fact I thought we’d be excellent right up until she noticed the horse wearing a fly sheet in a paddock directly behind the judges’ box. She’d never seen anything like it before and she absolutely did not trust it. “Arwen, seriously. It’s just a fly sheet, honey,” I said. She was actually quite mature about it. No panicking, no shying, no running through my aids; but she was very tense and I could feel that if I gave her an inch she would blow. So I held her down a bit too much. In my eyes the test went fine; we got all the movements accurately, she struck off on the correct leg every time, she responded obediently to everything I asked, but the judge hated us because I had overbent her pretty badly, so of course she wasn’t tracking up like she should. Next time I’ll take the chance of her blowing through my aids and see what happens. Our score was horrible but not the worst; 62, placing us 10th out of 15 entries. She nearly threw me off as we left the arena when a spectator stood up and accidentally gave her a fright, but luckily the test was over by then. 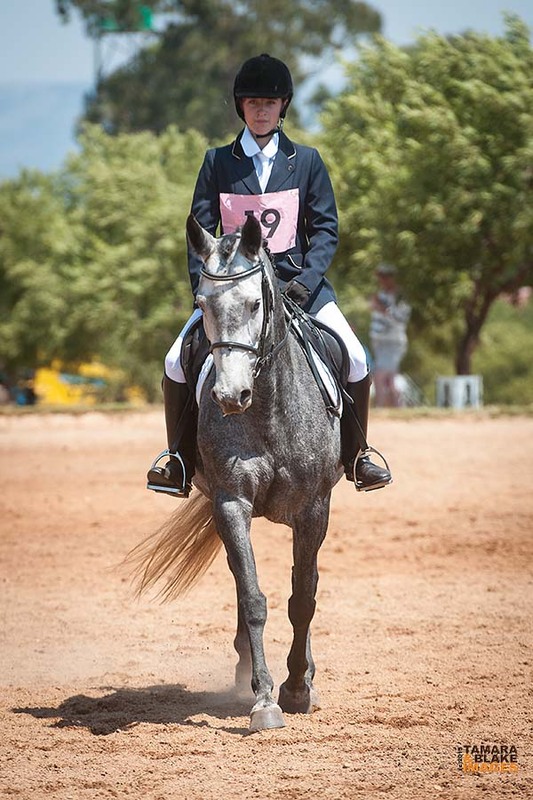 Dressage faces. Much seriousness. Also crooked because fly sheet monster horse is in front of us. We had a couple of hours to kill after dressage, which I mostly spent determinedly trying to get her mane straight again. I took the plaits out because they looked uncomfortable, but we all know that horrible crinkle-cut look of a recently plaited mane. I did not want to look like the newbie I am, so I brushed it out with a wet dandy brush and had a flat mane in ten minutes. Of course, everyone else just rode with crinkle-cut manes and all, so I looked like a newbie anyway, but at least her hair was straight. I walked the course with my fingers locked together, praying more fervently as each jump passed. It wasn’t big, nor did it have a lot of filler, but it was rather more complex than the little training show courses. Jump one was an inviting vertical leading to a rather frightening oxer at two (as frightening as a 65cm oxer can be, anyway); number three was a little vertical, and number four was a big white oxer on top of a dyke right in front of the announcer’s box. There was a tight left turn to number five, number six was the biggest terrifying oxer of all the terrifying oxers, number seven was a boring vertical, 8a a vertical with two strides to the 8b oxer, nine was a red-and-white jump with weird filler at the bottom of a high and relatively steep bank, and number ten was an oxer that you had to jump right after turning directly past the arena gate. When I walked the course I actually didn’t think of that, but it caused quite a few incidents that day. Arwen warmed up superbly. It was abominably hot, so I kept it short and simple. She took me to the jumps, bucked enthusiastically after one of them, and showed no fear at all. By the end of fifteen minutes’ warmup she was drenched in sweat. I sat on her and trembled as number 17 (two riders before us) jumped their round, but was comforted by a random kind lady who poked Arwen’s wayward cheekpiece back into its keeper. (Thank you, random kind lady). Then it was one rider before us and I walked her around the jumps and made her look at them, which she said was very boring (except for number nine, which was terrifying). Kirsten the Wonderful XC Instructor hissed at me from the sidelines to walk her through the dyke, which I did; I was expecting some fireworks, but Arwen plodded through it and enquired if she should jump the oxer. I politely declined as I didn’t want to be disqualified for over-enthusiasm. As it turns out, over-enthusiasm was really the only thing I had to worry about. I did have to kick her a bit at number two, but she blasted through the dyke like it was no big deal. We had a very stupid run-out at little dumb number seven because I was being relieved about number six and quit concentrating, but she popped straight over it again. She had a look at number nine as we came thundering down the bank but I planted my heels in her and she jumped just fine. She was fantastic – fast, accurate, and gutsy. We had only the four faults for the run-out, no time penalties, which isn’t bad for a fat little mare, especially considering I really didn’t push the speed at all for the sake of the heat and my nerves. Then came the part I was most worried about: trying to keep Arwen inside a stable without killing anybody for long enough that I could get enough sleep to stay awake until the end of cross-country on Sunday. As it turns out, I needn’t have worried. The stables were constructed of wooden poles, so she could see and smell (and bite) her stablemates. We did have to move four times before we found a stable that nobody else wanted, but Arwen wasn’t too upset by the idea. She pulled funny faces at the gelding on her left (he ignored her), snapped and squealed at the mare on her right (they were best buds by the end of the weekend), ate her hay and went to sleep. I did tie a couple of lunging lines across her door to prevent her from getting any ideas. Feeding time was kind of embarrassing as all the other horses tucked into buckets of pellets with mountains of lucerne, and I tried to be invisible as I gave her two handfuls instead of one for the sake of not looking like a total animal abuser. Also, major big shout-out to Erin! I actually met someone who reads my blog!! People do that, you know. 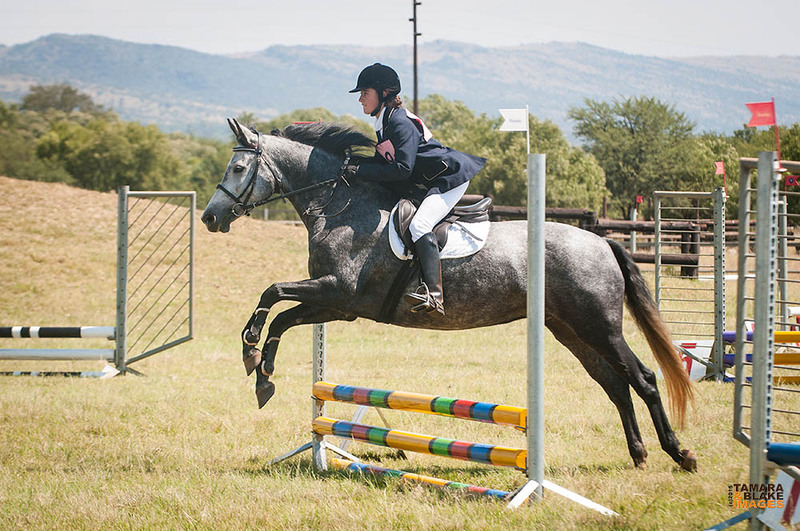 Erin happened to be three stables down from us with her stupendous chestnut Boerperd gelding, Burgerstrots Gedenk. Fantastic seeing you, Erin. Arwen spent the night annoying her neighbours. We spent the night in the horsebox, which was awesome until it rained; my parents were a bit damp the next morning. Our spirits, however, were unaffected. Arwen was happy and extremely hyper despite the appalling heat. I tried to take her for a walk in the interests of letting her graze and relax, but all she did was dragon-snort at everything and drag me around, so she was put back in her stable to think about her sins. Cross-country time found us both fidgety with nerves and excitement. Arwen was eager to get moving; I saddled her up in her stable, clumsy with excitement. She pawed the ground and bit me by accident while I was doing up her curb chain. I’ll excuse her just this once for rearing as we set off on the long-ish hack to the warmup arena, because she was excited and people were cantering randomly off with little heed to the crazy young horse that was half a breath away from going airborne. We somehow made it to the warmup in one sweaty piece. I couldn’t believe the heat. 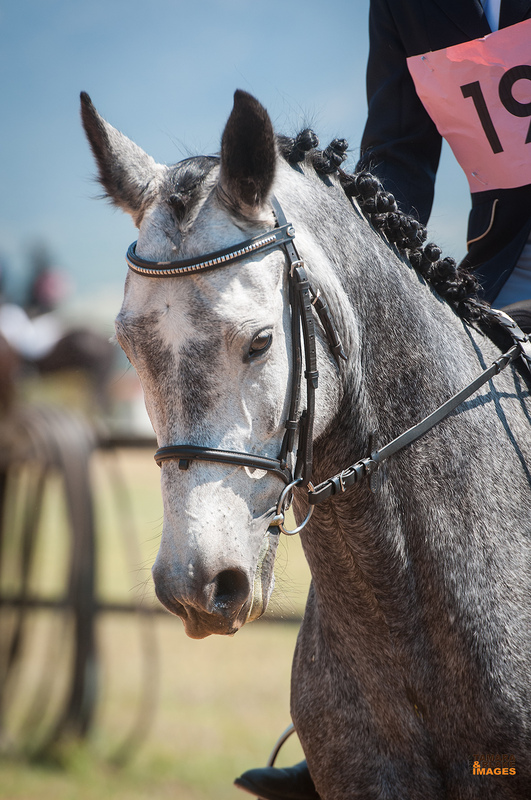 Arwen, luckily, had been drinking well all weekend, because she sweated incessantly – she was damp just standing in her stable, so she was drenched before we even got to the arena. It was almost midday and I considered scratching, but even once she’d calmed down somewhat, Arwen was willing and forward-going, so I decided to listen to her and soldier on. I kept the warmup short – just a couple of brisk laps of canter and a handful of little jumps. She was brave as the day, just stopped at a skinny that was quite a big bigger than our class. On the second try she popped right over. In a whirlwind of panic I struggled into my body protector and scrambled over to the marshall, praying they wouldn’t mind that my number was pinned directly to my body protector, my medical card was homemade and the stitching on my girth was getting a bit suspicious. Luckily they didn’t, so the next minute we were trotting down to the starting box and the corner of my number suddenly started flying around. Arwen thankfully didn’t spook, but as Dad was pinning it back on, she struck out a front foot to rub her face on, stood on her reins and broke them. Pandemonium reigned as Dad had a horse with half a bridle on thrust at him, I ran to the marshall to explain the problem, Rain ran to the horsebox in record time to fetch my spare reins, and Arwen fussed around saying it was time to go. I have the most amazing pit crew ever. Two minutes later, I had my spare reins attached, my number was fixed and I was back on my horse. And a countdown from five after that, we were trotting out of the starting box and heading for jump number one. These are our cross-country faces. Much happiness. Cross-country is such an amazing experience. Out there, at that speed, it’s just you and the horse and God. 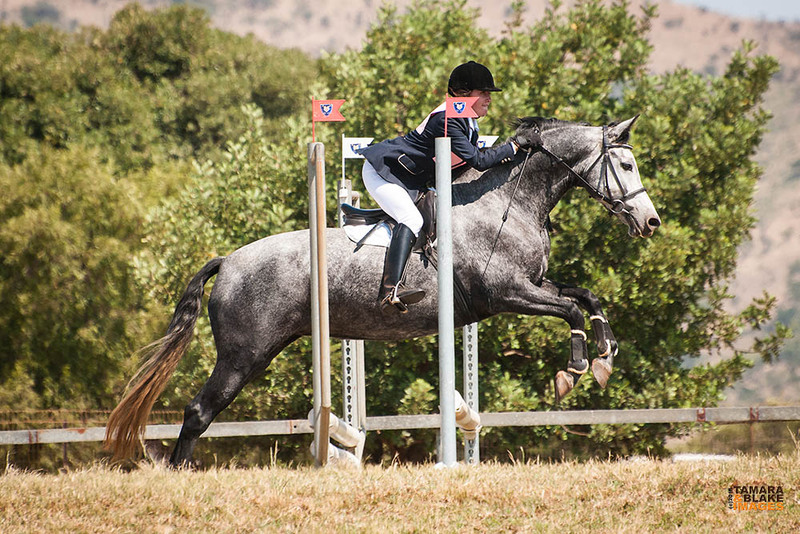 (And the occasional jump judge to spook dramatically at). 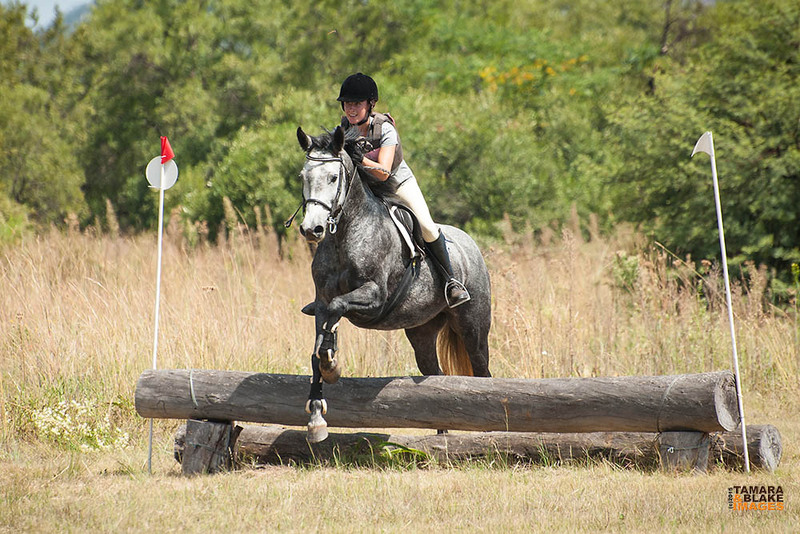 I was terrified as we approached jump number one, a simple log, but Arwen carried me over and then we’d popped over the pole stack at number two, and number three was right there in front of me and we felt that nothing could stop us. It was a long, twisty, confusing gallop to number four that I’d had to walk three times before getting it, but spectators helped out by standing in the “wrong” turns and we found it easily. Number five was a bit hairy as it was a fat log sitting in a gap between two big bushes, and obviously the jump judge elected to sit virtually in the approach to it, but we made it and then we were galloping to scary number six, which she just sailed over. Number seven was very boring and I was relieved about number six so we ran out and nearly killed a judge. Silly mistake, but we turned around, popped over and put it behind us. Number eight was this splendid oxer, then a big gallop to number nine, which was a bit daunting as it sort of popped out of the bushes at you, but Arwen took it in her stride. Ten and eleven were in a bending line right after one another; we had really hit our rhythm now and we tackled them easily. Number twelve, thirteen and fourteen were close together on a bending line; I was a bit worried about fourteen as it would be very easy to run out to the left (her favourite run-out direction) but she didn’t even think about it. The line from fourteen to fifteen was the longest gallop, but we lost a lot of time as there was a very scary 1* jump standing in the middle of it and Arwen said we had to keep an eye on it so we cantered slowly sideways past it. Luckily we pulled ourselves together in time for number fifteen, then tackled the water. It was not flagged so we could go around, but I wanted to give it a shot. She slowed to a trot, had a look, and then leapt right in. It was a long water complex and very deep, so by the time we reached the other side my hot, tired horse was going at a riding school trot. 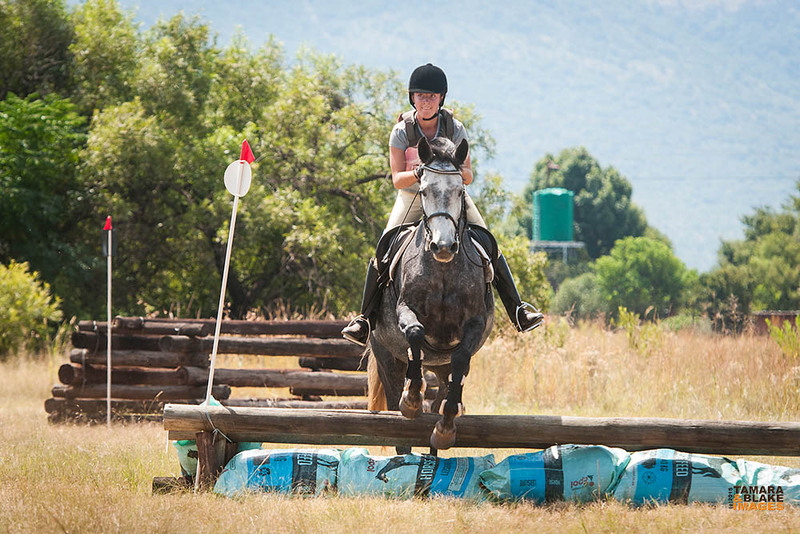 We managed to get our canter back by number sixteen and then we were nearly home, blasting through the trees to the last jump, then absolutely flooring it for the finish line. I was grateful for our barrel racing days because we shot over the line at a bit of a ridiculous speed, but I sat down and closed my fingers and she stopped so suddenly I nearly fell off. It’s hard to describe just how I felt as we walked away from the finish. I was exhausted, sweaty, dehydrated, slightly heat exhausted and so hot I could feel my heart throbbing in my ears. 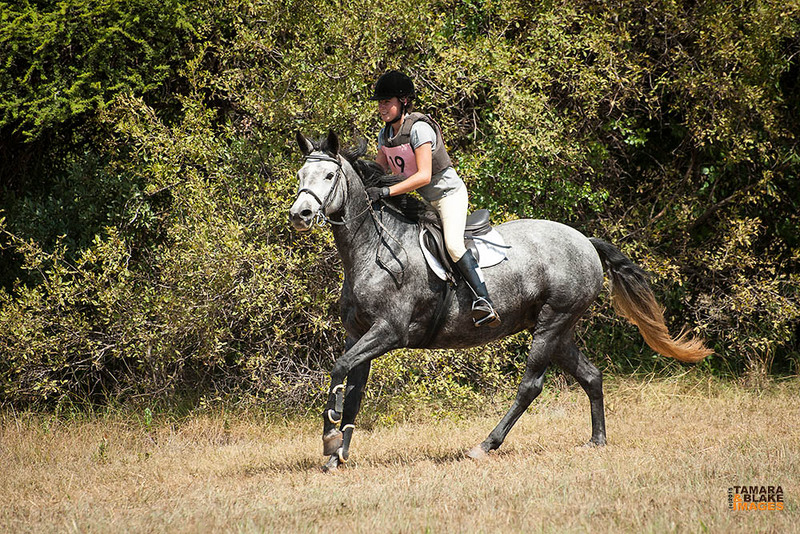 My legs felt wrung out, my hands were shaking and I could feel the first twinges of my back being out (probably popped it out during our sideways canter). Similarly, Arwen was gasping for breath and dripping sweat. But I could tell by the spring in her step and the set of her ears that she felt the way I did; exhilarated, overwhelmed with gratitude, joyful beyond description. So I did the only thing I could. I dropped my reins, I lifted my hands, and I thanked my King. How exciting! Sounds like you and Arwen had a blast. Beautiful pictures! Sounds like quite the exciting experience. You make a great team. Nice to see you here, Alyssa! Thank you. I’m so grateful to have Arwie for my teammate. You have a camera in your box (trailer for us)??? That’s fancy!! And yes, that is a stunning face! You guys look great and did great…congrats! Yeah, my dad and I are the same level of paranoid. Dad is a tech genius so he set up a camera that you can access from your cellphone. Makes driving a lot more peaceful. Awesome! What’s the next level up? Beginner Novice? Yup! 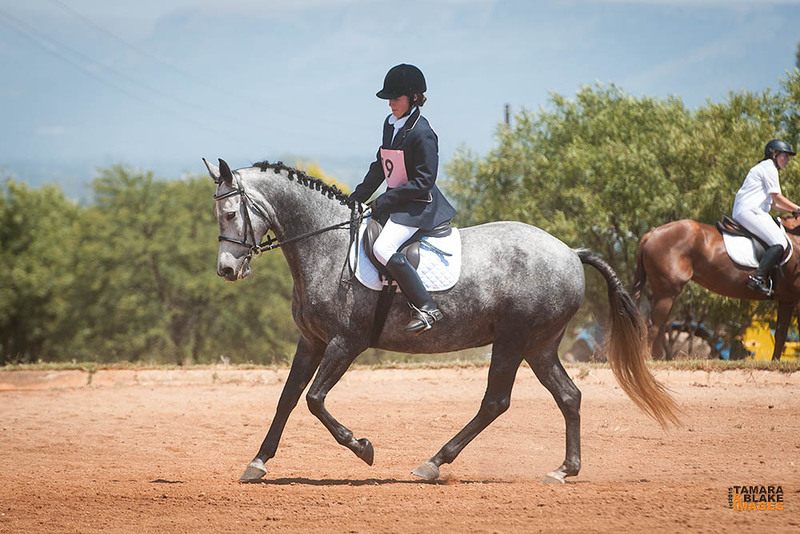 I school beginner novice and some novice but my horse, Batman, is a fruit loop (or should I say a fruit bat) so we stick to starter always because I like being alive. LOL! Yeah, EV70 (BN, I guess) doesn’t look too scary, but while walking my course I stared in awe at a 1* trakehner I could probably have stood under without hitting my head. Plus this is Africa, so frangible pins aren’t a thing. I want to be that crazy one day. 1. You are both adorable. 2. You have lovely equitation. 3. Sounds like a fun time!!! Love the pics. Thank you! The photographers succeeded in capturing a lot of good moments. (Normally we’re more adorkable than adorable). You both sound as though you had a ripping day, Firn. Nice job! Great pics and congrats on such a successful show! Blog shout out, I am now feeling very cool mwhahahaha!! Well ridden Firn! It was awesome to finally meet you and Arwen. 😀 PS. I’m glad I’m not the only one who found the turn to four confusing hehe. Hahaha wasn’t it epic?! 😀 Yeah that turn was just dreadful!! Is your blog up and running yet? I tried to go follow it, but it said it had been deleted. Gorgeous photos and I’m so glad for the good experience!